There’s a significant amount of rampant misinformation about The General’s troubles in Europe, so we thought it a good idea to set the record straight once and for all. In short, the problem is an overabundance of capacity. The passenger car market in Western Europe has plummeted from 14.8 million vehicles sold in 2007 to just over 12 million expected in 2012. The reduced volume results in a decreased capacity utilization at manufacturing plants; most analysts have gauged the current operating conditions to be about 80 percent of the optimal amount of plant utilization. These plants, mind you, were built with the goal of making 15 million vehicles per year as a floor, not a ceiling. GM’s recently-announced alliance with PSA Peugeot Citroën will increase plant utilization — but in the long term. Additionally, it will be interesting to see if GM will move its production to Peugeot factories, or the the way around. Whatever the case, it won’t make sense to join manufacturing efforts until GM and Peugeot vehicles share a high amount of components and platforms, as retooling and relocation are very expensive and will only be done when it makes sense for both parties. But why the losses? Well, profit is maximized when a plant is running at or near 100 percent of its capacity. As that number begins to slump (a decrease of 1-3 percent is deemed acceptable, but not more than that), profitability begins to decrease at an exponential rate since operating a plant is an expensive undertaking (just ask Saab) — with extremely high fixed costs. Basically, not enough vehicles are being made to pay for all the costs and expenses of running a plan. On the other hand, when a plant is operating at over capacity, quality is usually the first thing that suffers and a firm’s profit also begins to dip due to post-sale recalls and defects that result in warranty work at dealerships (mostly paid for by the manufacturer). But we’re straying from the topic. What’s happening in Europe today is similar to what occurred in America in 2009: the economy is significantly slowing, leading consumers to curb spending. This leads to a drop in overall vehicle purchases across the board, not just for GM. In most cases, the smaller players — with the smallest economies — are affected the most. Revenues drop while expenses, thanks to the high amount of fixed costs, usually stay relatively the same. And since Profit = Revenue – Expenses, the result is a sharp decline in profit; sometimes — a loss. In fact, the loss usually occurs much quicker for large multinationals like GM thanks to a high amount of overhead. The only way to curb the bleeding is to reduce production capacity by letting go of workers (blue collar and white collar) or closing down factories. The former would result in savings (fixed as well as variable costs) while the latter would result in the elimination of huge fixed costs (again, think Saab and the expenses associated with running a plant). Currently, the thinking is that GM is looking to reduce European production capacity by about 400,000 vehicles per year. That’s the equivalent of two factories. Ellesmere Port in the UK and Bochum in Germany have been identified by GM as best candidates for closure, but nothing has been officially announced yet. For the sake of record-keeping, GM Europe lost $747 million in 2011. If there is one thing to take away from all this, it’s that automotive manufacturing is very expensive… and that losses will be rampant if volume is below the break-even point, even if only by one or two million units a year. The losses pile up exponentially — and that’s what’s happening to GM in Europe — very similar to what occurred to GM in the United States in 2009. I will claim that GM’s problems with the plants running at a low utilization in Europe is because the car buyers choose other brands than Opel. Opel either has to increase sales or cut costs dramatically. Opel is a car that neither appeals to the brain nor the heart. 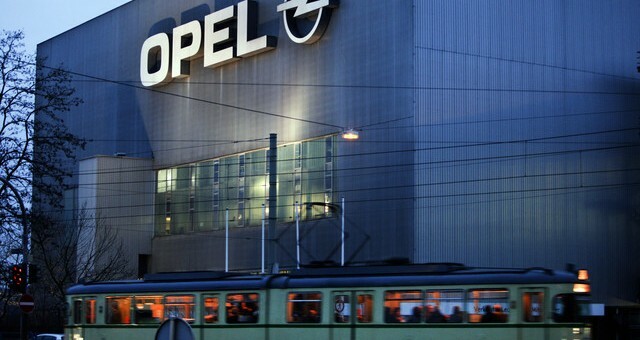 As a result Opel’s market share in Europe has halved since 1999 to only 7.3 percent in 2011. And Opel has reportedly lost money every single year since 1999 and cost GM $ 11 billion. Currently Opel’s supply does not match the demand. Opel has a much too broad model range and too many variant. To cut costs models need to be dropped and there must be fewer variants within each model. But Opel is out of touch with real life and thinks it can and must compete with VAG in every niche and every market segment. Until the management at Opel realize that it can’t be everything, demand will never meet supply, and costs will be higher than incomes. I believe that Opel is a lost cause. It’s very inexpensive to build variants of the same model (sedan, 5-door hatch, 3-door hatch, coupe/cabrio, MPV, etc.). So Opel’s broad model line, which isn’t even as broad as it once was, is not the problem. In fact, it’s Opel’s ability to appeal to a broad range of shoppers that allows it to maintain a 7 percent share… reducing models/variants would result in an even further drop. Within a few months, GM Europe will most likely announce the closing of 1 or 2 plants. Doing so will instantly skew the numbers towards the profitability side of the equation. Additionally — and I have no proof of this except for a giant hunch — it’s possible that Opel is being tasked with certain R&D costs on paper. So the platforms, engines, technology it develops may be used by Buick, Chevy, etc. — but Opel pays for them 100 percent. So it could be a numbers game as well. Problem is that variants cost a lot a money when you don’t sell them in any numbers. For instance, why do Opel need a high performance Insignia and a high performance Astra? Not because a lot of people demand them, but because Opel thinks it needs it seeing that VAG has high performance variants. I do agree about the R&D costs. My suspicion is that these costs previously was split between Opel and Saab. Saab probably got a much bigger share of the costs than it deserved, and with Saab gone Opel’s share of the costs has probably increased further. Closing plants will be a hard task with both unions and politicians being very rigid and not backing down one bit. Interesting , but it was in the news over here ,they never sold more Porsche’s and Audi’s than before , the workers get a bonus for it ….Thats what is happening in Europe …..
Why GM don’t uses its manifacturing capacities in Europe to introduce CADILLAC and build some of them in Europe?? ?